Students in Sustainability worked side by side with students and parents from San Jose Episcopal Day School recently to jump-start The Giving Garden on the day school’s campus as part of the Green Apple Day of Service. The Center for Green Schools at the U.S. Green Building Council is the organization behind the Green Apple movement, which encourages community partnership with schools to enhance the sustainability and environments of schools all over the world. 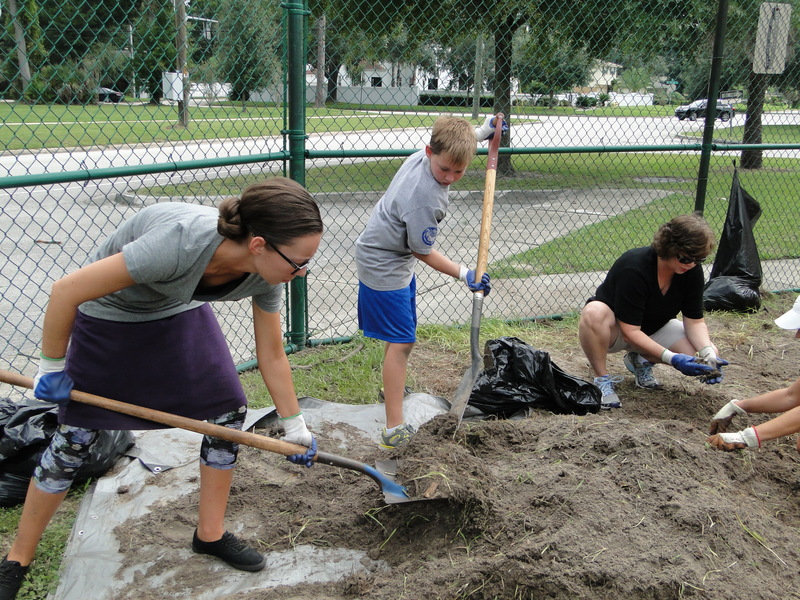 JU student Alex Varanelli, left, with San Jose Episcopal Day School students during Green Apple Day Sept. 27. More than 45 volunteers gathered to prepare the land and construct raised garden beds. The Giving Garden will provide students with authentic learning experiences to cultivate a vegetable garden, while applying STEAM (science, technology, engineering, art and math) based principals. The project will involve hands-on experimentation through science classes, natural observation and the pure joy of growing food to eat and give to others in need. 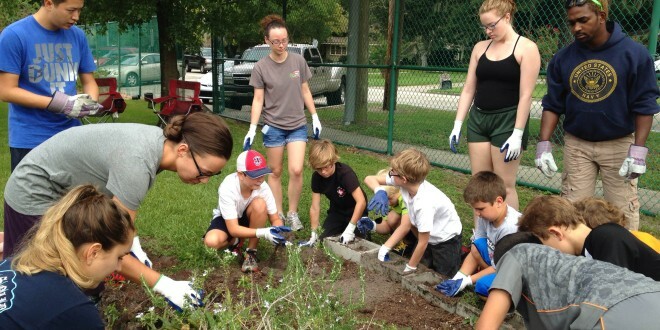 JU student Karissa Rathburn, left, with San Jose Episcopal Day School students during Green Apple Day Sept. 27. Dr. Ashley Johnson, Professor of Geography and Director of Sustainability at Jacksonville University, rallied her students and members of The Green Initiative for Tomorrow Club at JU to give back to the community by inspiring children at SJEDS to think about and work with natural resources and the environment.